As the first generation idol group, of course the group has advantages and disadvantages, such as being a K-pop initiator and starting a fandom culture. Because there is no digital song, their physical album sales are very high. The drawback is an unhealthy contract and their style and fashion were horrible. Let’s discuss the first generation Korean boy group. H.O.T. 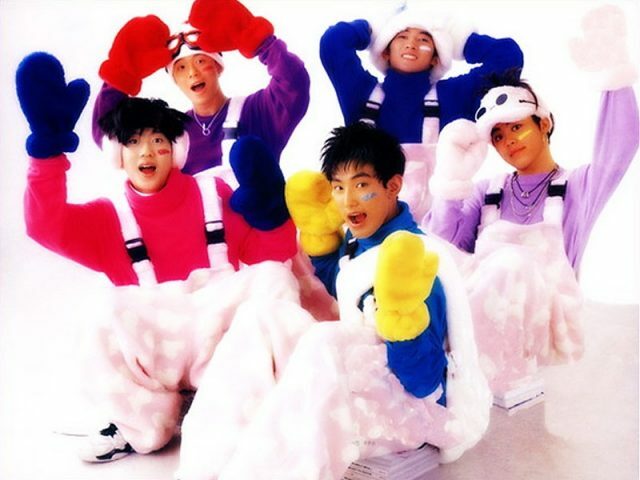 is a popular five-member South Korean boy group active in the mid to late 1990s. 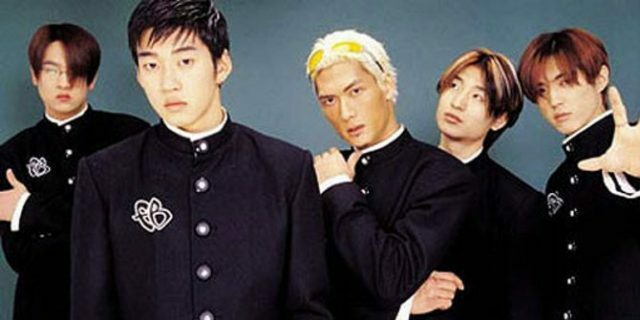 They were formed by SM Entertainment in 1996 and disbanded in 2001. In addition to South Korea, the band is popular in Taiwan, China and the Korean and Asian communities in America. H.O.T. is the first group to have an album and become a ‘million seller’ in K-pop, despite the ongoing regional financial crisis. They are credited as the first K-pop boy and pioneer of the ‘idol group’ trend in the Korean music industry. H.O.T. managed to turn Korean main music into music for the younger generation. Consisting of five teenagers at the time of their debut, they were set up to specifically target teenagers, hence their group name is “High-Five Of Teenagers”. g.o.d is a five-member South Korean pop group. Debuting in 1999, the group became one of the most popular boy groups in the early 2000s. The members have a solo career in the entertainment industry after an unlimited group activities in 2005. However, they reunited and performed together again in July 2014. Although the group is known for their storytelling and “spoken” style, R & B and rap, their repertoire features a variety of genres ranging from hip hop to funk. As one of the best-selling artists in South Korea before the digital era, they are one of the few idol groups that have more than one album to be a ‘million seller’. They are often referred to as “the Nation’s Idol”, and are considered a ‘K-pop legend’ with the first generation idol group Shinhwa, H.O.T, Sechs Kies, Fin.K.L, and S.E.S. The name is an acronym for Groove Over Dose. 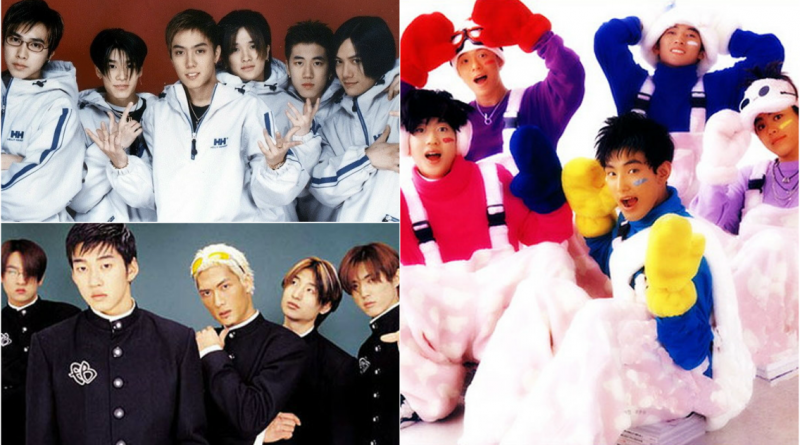 Sechs Kies is a six-member boy group in South Korea who debuted in 1997. They are the ‘first generation K-Pop idols’ and were named one of the top male groups in the 90s. The group consists of Eun Jiwon, Lee Jaijin, Kim Jaeduck, Kang Sunghoon, Ko Jiyong and Jang Suwon. They debuted on April 15th, 1997. 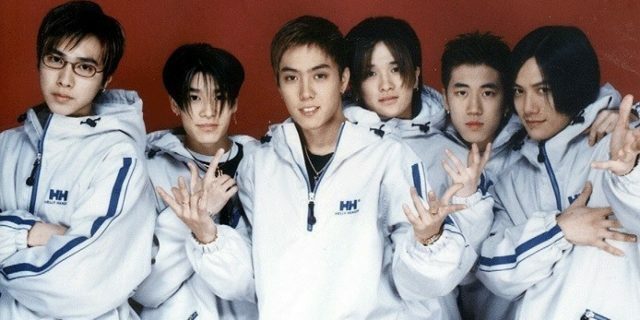 Sechs Kies disbanded on May 20, 2000 but held a reunion concert in 2016.